The easiest, fastest and most creative way to download / extract pictures from internet automatically ! There are hundreds of thousands sites all over the Internet that include interesting or useful images. to save these beautiful pictures in web browser is a time consuming affair, as you must click on each individual image and specify the location where it will be saved. With Picdownloader this process is made simple and easy - you specify the URL of a page, and this smart utility explores it and downloads all images to a specified folder. You can also set the program to explore the entire web site and retrieve only those images that meet your specifications. PicDownloader can help you automatically extract picture files from internet.suppoprt most popular picture formats: bmp, jpeg, gif, tiff, tga, png, pcx, psd and flash files. 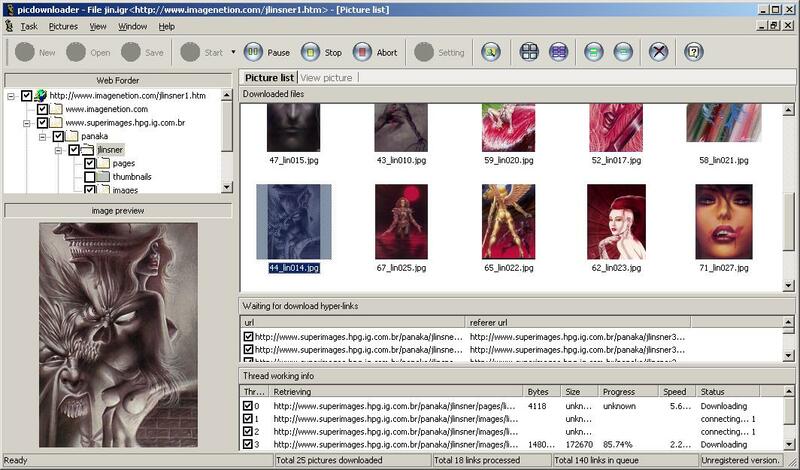 Image size filtering - set the minimum size of image files and the range of image's dimention to be retrieved in order to avoid downloading numerous thumbnails and interface elements. 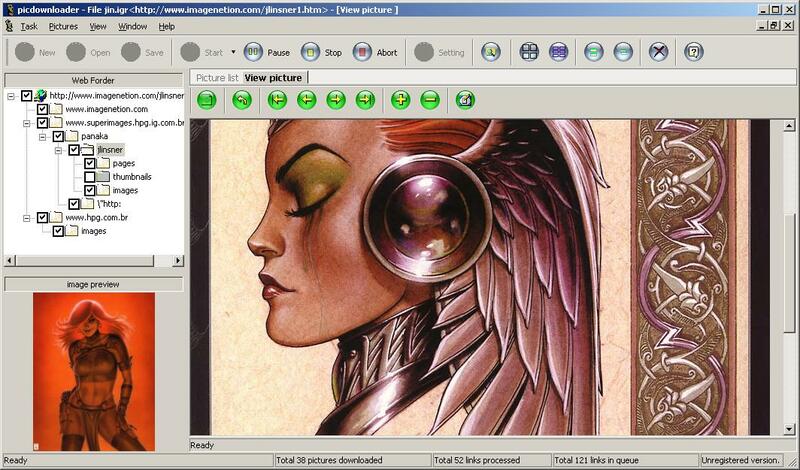 Image preview - shrink images to fit the preview window or view them full-sized or zoomed mode. Image thumbnail preview- preview downloaded images in thumbnail mode.quickly find out unliked images. Windows wallpaper-Set selected picture as Windows wallpaper. Image copy/delete - delete or copy unliked downloaded images during downloading. Fast finding out the images you want to download - Provide a particular way to fast locate the images you want to download, save much time and download images more faster.